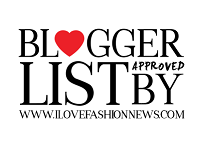 Together with two other bloggers I am in the latest blogger battle from Follow Fashion. For the first battle we were asked to show our fall outfits, I have chosen for a comfy look. In the fall I love to layer a bit so that you can adjust yourself to the changing weather. For me a hat makes an outfit different and I love to wear one, now that the days are getting colder my hats can get out of the closet to be worn again. I really hope you like this look! Jeeej lief van je !! !